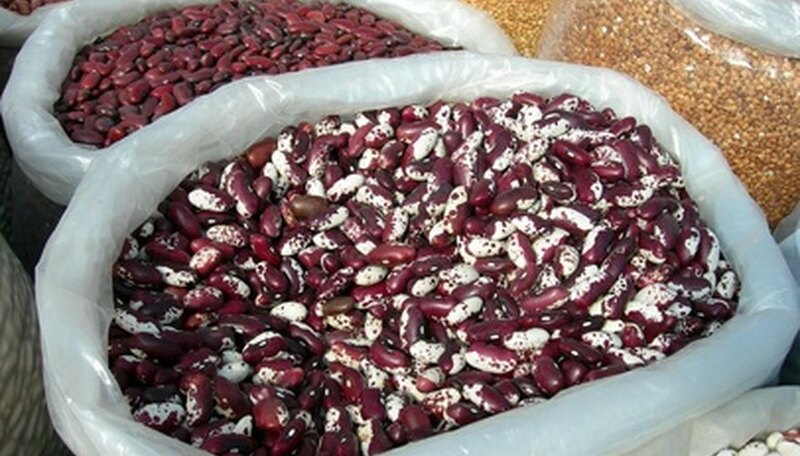 Beans are common crops in the home garden and agricultural staples around the world. Although people tend to recognize the value of the plant for its product--the bean--the structure of the bean plant develops with the production of beans in mind, and each part serves an important function to the health of the plant. In addition, beans plants have distinctive features that make them valuable additions to a vegetable garden. Beans have shallow root systems, making them particularly susceptible to weeds and crowded conditions. The root system of the bean plant, however, has a special ability that makes it especially valuable to gardeners and farmers. While all plants require nitrogen to survive, the abundant nitrogen in our atmosphere is not usable by plants. A few plants have the ability to "fix" nitrogen and make atmospheric nitrogen available as ammonia. Beans are one of the plants able to do this. In the roots, small structures form, called nodules, where symbiotic bacteria develop that are able to convert atmospheric nitrogen to a usable form. The bean plant produces nutrients for the bacteria, while the bacteria fix nitrogen for the beans. Small amounts of nitrogen may also linger in the soil or become available for neighboring plants, improving soil fertility over time, according to the New Mexico State University Cooperative Extension Service. Beans begin their life in the seed with two tiny leaves called cotyledons. When beans emerge from their seeds, these two rudimentary leaves emerge first and, from them, true leaves develop. Leaves are important to plants, including bean plants, because they contain the structures that allow the plant to convert energy from the sun into energy through photosynthesis. This energy fuels the plant's growth and development of flowers and beans. Bean plants come in two forms: climbing and bush. The structure the plant assumes depends on the position of the flower. In bush beans, the flower grows at the end of the stem, effectively stopping further growth. Climbing beans, on the other hand, form flowers along the side of the plant, so the vine can grow indefinitely and extends itself by twining up a support. 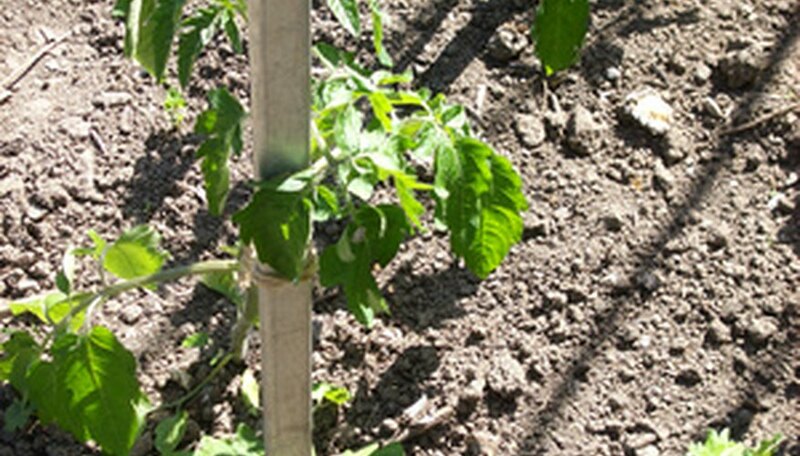 Unlike peas, beans do not have special tendril leaves, small leaves that grab hold of a trellis and support the plant as it climbs. Bean flowers have distinct upper and lower lobes. Flowers are particularly important to the bean plant because they produce the beans. At the base of the bean flower is an ovary, and when that ovary is fertilized by pollen, the ovary develops seeds, which people eat as beans. Beans serve as seeds for the plant, forming from the fertilized ovary inside of the flower. Many species of beans are distinct among flowering plants because their seeds do not contain endosperm, a nutritive substance found inside of the seed that nourishes the embryonic plant. 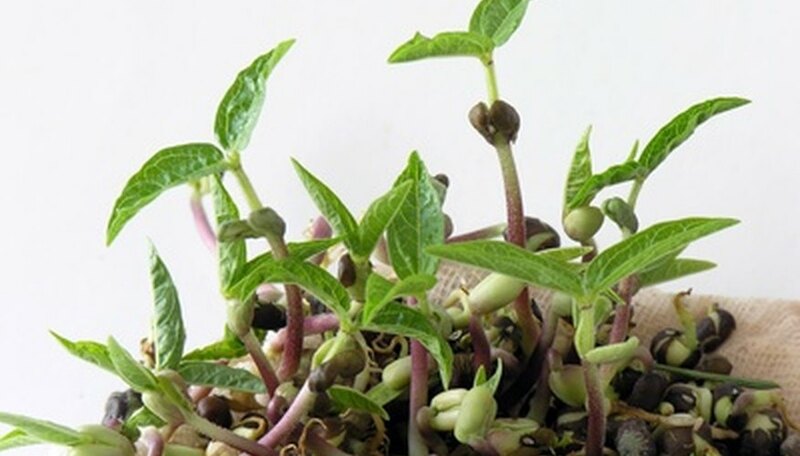 Instead, the two embryonic leaves are especially large and make up most of the weight of the seed, providing nutrients to the young plant as it develops. A few species, such as castor beans, do have endosperm in the seeds.